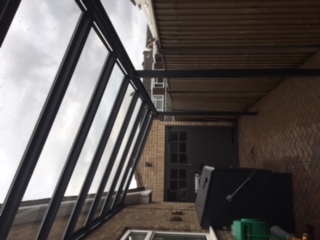 This carport also features the ‘Clear as Glass’ roofing option for a completely see through finish. This is used rather than glass as it is approximately 200 times stronger and much lighter. 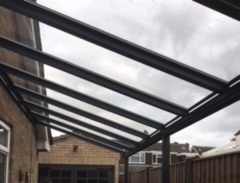 The 6mm plate polycarbonate has all of the visual clarity of glass but is much safer in this type of structure. The anthracite grey frame is the perfect addition to modern homes. The frames also come in white or brown. 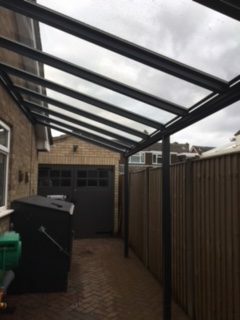 With so many colour options, all with an excellent finish, there really is a canopy for any home. The canopies are custom made so can be cut to any exact measurement you need.